JA just makes the entire recruitment process faster, simpler and smarter, without making things too complicated. It's the easiest recruitment system I have ever use and it continues to evolve...getting better and better. And their support is amazing! Have a demo - this system is seriously easy to use and makes life as a recruiter so much easier. If you are looking to change systems or never used one before, this will be a game changer for your business. We recruit throughout NZ and into Australia & Pacific, with many applications from overseas. We have many templates saved, so we can get the process started and stay one step ahead. We find the Hellosign & Referoo integration especially beneficial. Saves us time and we can wee when things are progressing. Essentially, it saves us time and money. "What database dreams are made of! " We have been using JobAdder for nearly 5 years now, and apart from providing us with a database that helps our business with efficiency & storing our data securely, they are always one step ahead of the game in regards to technology. Nothing at this stage, a few features we needed were not included in the platform for the first few years, but as time has gone on JobAdder had addressed all of our needs and developed them into features we could only have dreamed of. Storing our data clearly and being able to find information easily. We have a huge database which could easily get neglected if you could not find the information easily. They have powerful search functions which makes a recruiters job much easier. More time for our recruiters to connect with people! "JobAdder - finally a solution!" We have gone through 4 ATS systems in four years. Sad to look back and understand how many misjudgements we made. Then we uncovered an ATS called JobAddder out of Australia. Not so well known in North America yet - but they will be. The software is nice and simple and does not come with so many unused bells and whistles. For our team, it appears intuitive as to what the next click should be. The speed of the system is excellent. And, they have built in a number of features that will speed up our work processes. We have just started using the system and I can tell the team is 100% bought in. Such a refreshing change from where we were. Migration, training and support have been top notch. We are only 2 months in but, with 20 years in the recruitment business and exposure to half a dozen ATS systems, what I see so far makes me believe this is the best one I have been exposed to so far. Only thing I did not like was it took 12 weeks to execute the migration. Likely because others are seeing what this product is about and buying into it. Hence the migration queue. Now that the team is 100% in to the ATS, we will be better organized, able to find candidates quicker and can utilize many of the JobAdder features that will speed up our game and handle more volume. "JobAdder is constantly updating, making the platform easy and efficient! " Quick view and boolean searching has made my work load much easier to source the best talent for my roles. The platform is always easy to navigate and comes with clear guides when ever there is an update. I do miss the Index being located across the top of the page as I usually have lots of tabs open during an in-depth search. I used to be able to scroll through my job applications while I had a quick view resume open which made it easier to go through a page of applications without stopping and starting. The platform is one of the easiest I have used and when starting with this company the opportunity to do training with the JobAdder team at their office was great - to get more information, tricks and meet the team on a human level too! I spend a lot of my time culling down applications and JobAdder has made this system a lot quicker and easier to read. Finding the right talent for certain areas is a challenge however using folders helps me archive candidates for a later date to make it easier to review strong applications down the track. 1. Linking a candidate to a job (saves time and could do away with my paper spreadsheets). Still to find something I dislike as the response time to any issues are almost immediate. Easy to use with great support, not too mention the features being rolled out on a regular basis - setting the benchmark for competitors. 1. Job vs candidate tracking (easier to keep track and stay on top of the ball). 2. TIme and paper saving, where I used to compile spreadsheets and notes by hand. Now there is no need to keep on duplicating. 3. Internal communication whilst being offsite / at home. Simply tag a colleague in a comment and rest assured that they've received it. It's functional. Posting ads is straightforward. Ad response is easy. Better than Bullhorn on those points. I don't understand why JA don't have a feature to remove candidates at the application stage - if I flag them as being rubbish, then don't add them to the database. Deleting 100 candidates from the database every time I post an ad is very time-consuming. Bullhorn wins on that one. Find somebody that'll let you play about on their JA before you sign up, because it's not as good as you might think. And it's expensive. It's a central location, even if it could be much better. Ad response is much better. "JobAdder - Easy and Effective Recruitment Software"
I would like for JobAdder to have workshops more constantly - Webinars and also to come out to various locations ( I did one in Brisbane) and do workshops. The workshops are great to pick up new ideas, see how others use the software and to meet the JobAdder staff. JobAdder is recruitment software that provides the user with the benefits of any of the high end software available in the market today whilst still being easy to use and effective. I recommend that the administrator and the team take time during set up to make sure that JobAdder is created with your companies recruitment workflow. Recruitment - Obtaining information quicker to find and keep real-time records of candidates. Using the phone App has been fantastic as it syncs well and the functions of the app allow me to continue working away from the office. I like the home screen features, I can track my jobs, track the progress, click straight into where I want to be. I like the notes sections so I can communicate with my colleague easily regarding candidates and they can be tracked easily. I don't like the fact that I can only search for 500 candidates at one time, I do a candidate mail out once a month and it slows me down. The ability to talk to each other using the notes facility, and log what we are talking about. The ease of communication with candidates, and being able to keep track of progress on jobs. "Using JobAdder to build a new Recruitment Service"
I really like the ease of use, the intuitiveness that jboadder offers. We can post ads very easily, set the tool to follow its own recruitment process. Tracking the team's activity is very easy, setting up KPIs and monitoring is very easy. I really recommend this tool, not enough answered in France. It's a bit difficult to do a competence research in all the candidates pool. I know that there is not a lot of companies in France who are using the tool, but a version in French could be easier for people who don't speak english. We have achieved a considerable time saving, ads are online very quickly and applications are very easily searchable. In addition, thanks to the settings, all the candidates receive an email and we can have a real follow-up. I love the ease of use. It is easy for anyone to login and start sourcing. Some members of my team are not tech savvy yet the helpful tutorials and intuitive nature of the layout allows all my team members the ability to run their full sales desk from JobAdder. It would be helpful if we had the ability to complete mass changes to fields in the "list pages" of Candidates, Clients, Companies, etc. It is cumbersome to have to log into each profile to clean easily accessible data points from the list pages. Everything is available within the JobAdder platform to run a full sales desk. As a manager and business owner, this software was a great investment to maximize my and my team's time. "Its so easy to use and never lets us down and the support team are fantastic if you have any queries"
I like the online help and updates and the ease that you can resolve queries with the support team. There isn't anything on JobAdder that I don't like. Definitely give it a go , you have nothing to lose and everything to gain. As our team is expanding anyone of us can help candidates and contacts as we can all see the notes that others have made. This makes us more professional and efficient. Instead of relying on paper systems and memory everything is electronically available. Its has enabled us to record our new GDPR requirements so easily.. The simplicity of using it - you can get up and running very quickly without any training as its so intuitive. Withing a few clicks you can upload CV's, create a candidate and add them to a job. Creating a job ad is really easy too and it synchs with all the major job boards so you can load up jobs really quickly. Absolutely nothing -they are continually improving things and have a great helpdesk so I'm never kept waiting long to get things fixed. Definitely try it, you won't regret it! It's fantastic value to use. I can work anywhere from a PC or from the mobile app. The admin function is excellent, allowing me to add and change candidate/client emails and reminders. "So much love for JobAdder!" I love that JA has a solution before I even have the problem. Super easy to navigate and very user friendly, JA has made my lifer as a recruiter so much easier. I'd like to be able to mark candidates that will never be suitable for a role as unsuccessful and then for JA to remember that and automatically mark them as unsuccessful every time they apply in the future. The " " searching in candidates is very thorough and the highlight of the words searched makes life so much easier. "Simple and easy Recruitment Database"
Jobadder is easy to use, it's developing relevant improvements that make recruitment easy. Have used Jobadder historically and since then I have implemented into 2 new business (external recruitment agency and Internal recruitment division). Our of the 5 other recruitment systems I have used Jobadder is my preferred. - I have found Jobadder pretty receptive of feedback when it comes to product upgrades that are not effective. - Reporting functions could be developed further to drill down on statistics but the current offering of reports is still good. Jobadder is a usefull recruitment product, it's simple and delivers what is required. Jobadder has given me the right tool to manage recruitment for our 110+ veterinary hospitals easily. "A cost effective Applicant Tracking System "
- the number of job platforms the system is integrated with. - easy to use. Can easily set up all my templates and all other areas in the admin section. - can log requests online for application form amendments and its actioned overnight. - implementation was not as easy as it could of been as the Australian based consultant was extremely busy and hard to get contact of. - with pressure to reduce costs, it was much cheaper than our previous system and does more! "JobAdder has done the trick." How easy and intuitive the platform is, and also how quick the product / updates team are to getting to bugs and updates. Very seamless. It's been an amazing change to have a fully sync'd cloud based platform for our recruitment business. Having more than 30k people to keep an eye on can be tricky. JobAdder has done a tremendous job sorting and creating a platform that allows a recruiter to do his job, quicker, easier, and more enjoyably. I know I really enjoyed the fresh technology brought to a dormant and slightly old industry. I think tech is what's going to take the recruitment industry to the next step. "Job Adder is AMAZING !!" We love how user friendly this program is!! The staff are always super friendly and willing to help out. We prefer the old layout / colours- we found it was easier to navigate - was ascetically nicer. Make the switch! You will not be disappointed!! How user friendly recruitment software can be! Everything flows well, the fact we can plug into different software through JA is amazing!! So not clunky like previous software we have used. The platform is really easy to navigate, absolutely love the dashboard and how easily it can be customised. Nothing at this stage,, we have been using Job Adder for over a year and so far its awesome. "High spec, user friendly and super efficient. " Fantastic search functions. Has an intuitive feel, easy to use, efficient, handy app function and continuously improving. Double ups on contacts when they move companies. I understand this is being worked on so hopefully won’t be an issue for long! Multi-users benefit from instant updates from all company employees. Ability to attach documents and work from home/off-site capability. The ease to learn job adder and navigate to find your jobs and candidates within jobs really quickly. Add on HiringManager has some issues which I flagged which still are not resolved. I think there could be better communication with customer service and account managers so they can see issues you have had. Linkedin Integration, gmail integration, it is to add a new company (by just inserting the companies URL), the submissions feature looks sleek and professional when clients receive submissions, we can add branding to it, the new CareerUpdate (though there are still features within this that dont work properly), googledocs integration. That JobAdder doesnt allow information to be pushed through from our website, they only allow info to pushed into Jobadder through the APPs they are partnered with, which cost us extra money to join. We are forced to use the companies they choose to team up with and integrate with, which isnt the most cost effective way for us to get information into our database. If we were able to put our forms on our website and push this information through to jobadder this would be so much better for us.This is a big reason why we are not sure we will stay with Jobadder in the long term. Twillio integration (worst customer service ever! No-one gets back to you). Please have some more company options for SMS integration, like RingCentral. JobAdder seems aimed more towards HR professionals than to recruitment agencies in a lot of ways, ie. docusign was only set up for after you make a placement, as an agency generally all forms are signed before a placement is made. Quick to add new candidates, clients and companies with the LinkedIn integration and Quick Add features. Its easy to record email conversations through gmail integration and upload documents sent to us from clients and candidates, and upload some basic coding from an email onto Jobadder, which helps with candidate and client searches for requisitions. They have a lot of very great technologically advanced Apps they have partnered with which is beneficial to our company and adds values to our service. Thank you for your constructive feedback, we'd love to be able to assist you with some of the points you mentioned as they can be resolved. Would appreciate if you could please email Audrey, audrey@jobadder.com as she will be able to work some magic for you. "Great flexibility and customer support"
It is very easy to cater the system to what you need. Also, if you have questions on how to do something, the system actually walks you through the steps rather than sending a bunch of text to follow. There are great instructional videos. It's easy to drag and click resumes and add candidates to the system but it takes longer than I hoped to populate from the resumes. We are a small company that could have gone with something cheaper but we wanted a system we could grow into rather than switch after a period of time. This does everything we need as a recruiting company from applicant tracking to posting jobs to adding jobs and attaching candidates to job and tracking them through the process. We needed a way to track our candidates and keep them in an organized fashion as well as be able to easily search them. This has saved us time from having to go through excel spreadsheets. "Some great things but let down by some really poor things"
It's intuitive, flexible and in general easy to use. Some vital features are very poor, the interview scheduling for example is worse, more difficult to use and less flexible than software I was using 20 years ago. It's especially frustrating that they roll out new fringe features before fixing vital stuff like this. It's good, but not great. if they focused their efforts on perfecting current key features like search and interview confirmation rather than new fringe features it would quickly be a great system. Hi, thanks so much for this feedback. You'll be pleased to know we have updates coming for nearly every aspect of the system this year, as well as hundreds of new and innovative updates. We have two product teams at JobAdder now who are committed full time to enhancements of existing products. If you'd like to get more insight into the dev roadmap please email me on brett@jobadder.com and I'll arrange this for you. Thanks again for the constructive feedback. We hope that 2019 is the year we turn you into a raving fan. "The best we’ve ever used!" The continuous development and partnering mindset of the JobAdder team. Nothing, it’s ace! The platform is so intuitive and the support team are more than happy to assist. Don’t think, just do it. You won’t be disappointed. JA handles the full needs of our dynamic business including a powerful mobile platform. I was in touch with JobAdder mid-December expecting a New Year demo to be booked! They were so efficient we had had the demo, the commercial sign off and full on-boaring project (great use of Trello btw) completed by 21st December so I have hit the ground running in 2019. The team are efficient, smart and they get customer service! Ask me in 6 months, honeymoon period still! As my business has grown over the last 12 months looking to have more centralised workflow management and CRM disciplines. "Consistent, predictable and kinda at the front. " Australian based company with people to talk to who respond to requests and initiatives. Can be a little slow in their response to problems and they could blow their trumpet a little louder or consult on new initiatives. Spend time and money ensuring you gain user buy in at the start and continue to ensure user usage through out through your own management initiatives. If you can achieve this then its a very powerful tool. Currently working on the dead data issue which is a great result. Also on getting sales people to actually use the power of the system. Ask me in July. "Assessment for a client using the app"
Its reporting and query capabilities are immature, disappointingly so. 2. no daily time report by client/timekeeper that could be used to import into a billing system. Client has 50 timekeepers and the absence of this report means manual rekeying (along with risk of error) for 250 time entries a week. That's not helpful. Think thru your end to end business processes. The product roadmap is not clearly articulated-based on my conversation with them recently. Easier time entry and approval by clients. Thanks for your review of our TimeAdder time-sheeting product. That product has had a number of major upgrades since this review. All the best. Sometimes the system can run slow when we are sending bulk txts. New video cover letter option is great for people to express themselves and show off character better than a piece of paper allows. Nothing to report on at this stage, the software works great for what we need it for. Very simple to use and effective tracking software. Hiring and streamlining the application process. Benefit to track changes made to shortlisting and going through the whole recruitment lifecycle effectively. JobAdder is super user friendly, always improving it's functionality and the support team is second to none. I honestly cannot think of something I can comment on in regards to this question. Don't think twice, this product ticks all the boxes. Implementing a talent management system into a new Advisory business. We now have one system that captures and manages all of our candidates through our recruitment process ensuring proficiency and consistency. Reporting is now also at the touch of a button. "Most user friendly system I have ever used "
Ease of use. Regular updates. The fact that that system is online means it can be accessed on the go. The app is also my go to to access records on the way to meetings etc. and the voice recognition tool also saves time and helps me update client meetings notes by etc on the way back to the office. Internal communication is improving with the mentions function. "Great CRM for recruiters - extremely user friendly! " How easy it is to navigate through the system. Candidate coding is very useful for mailshots, especially for fast-paced temp recruitment. Also, the LinkedIn & Outlook to JA functions save a lot of time. It can be a little slow sometimes but might be our IT system. "Great platform with new features being added all the time"
Drag and drop function makes filing easy. Back end customization is great. Floating function is still very limited. The ability to add other docs like cover letter when floating multiple candidates is still limited and this would be a game changer for our grad recruitment if it was available. Easier tracking and storage of candidate information. "Updates for the sake of an update"
I dislike the new desktop update. It didnt need it and if anything made it more difficult to use. The reporting function could be better. "So quick to learn and get started - very intuitive platform for recruiting agencies." Their interface is bold, new, and easy to learn. If you have any questions they use "walk me" tutorials to help you learn or you can chat with someone. Their integration with add-ons makes the platform seamless and the phone app is very useful. You can't schedule interviews or attach notes to specific jobs/recruiters in the app. ATS/CRM for recruiting agency. Workflow is fast and intuitive. The simplicity of the dashboard, I can easily navigate through all my jobs and candidates without any complication. recruitment, I can easily send interview confirmation to candidates and client. Easy to use and almost everything can be automated saving time and enhancing company PR. Thanks for your feedback! Have you tried attaching documents to our documents tab? This allows you to send these documents straight to your candidate or contact with one click. With regards to uploading resume from email, do you have the JobAdder plugin installed? From there you can easily upload a resume directly from email. "Cost Effective Solution for small/medium sized businesses "
"Job Adder usage for Hospitality Recruitment "
Following the candidate process closely, notes on candidate, candidate and company files - huge benefit for record keeping. "Easy to use and a great help"
"Jobadder is an excellent platform for recruitment! " It's easy to navigate, very user friendly and has all the features I need. I did prefer the old layout rather than the new one, but it is still easy to get a grasp off and work out where everything is. Jobadder makes it very easy to have all my information on candidates, clients and jobs in one place and is easy to navigate around. "Job Adder is great, it's so easy to use!" Everything, and they keep improving on perfection. It's just so easy to use. Nothing! Couldn't say anything negative about this program. "Job adder is awesome! Highly recommend"
Exceptional customer service from informative professional and hands on Account Manager Audrey Bailey. Superb customer service and ease of use. 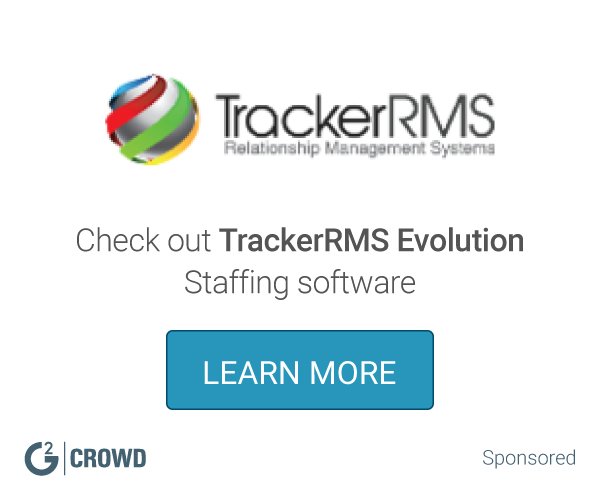 A stand out recruitment CRM. Easy to use layout, excellent applicant tracking tool and candidate talent pooling folder options! Talent pooling , being able to save candidates to folders and share with colleagues has made life so much easier! * We monitor all JobAdder reviews to prevent fraudulent reviews and keep review quality high. We do not post reviews by company employees or direct competitors. Validated reviews require the user to submit a screenshot of the product containing their user ID, in order to verify a user is an actual user of the product. Hi there! Are you looking to implement a solution like JobAdder?